As brewers continue to push the envelope with barrel-aging, spices, new hop varietals, exotic spices and weird ingredients like oysters or their own beard yeast, it only makes beers like Strike Brewing's Blonde seem brilliantly unique in their simplicity. 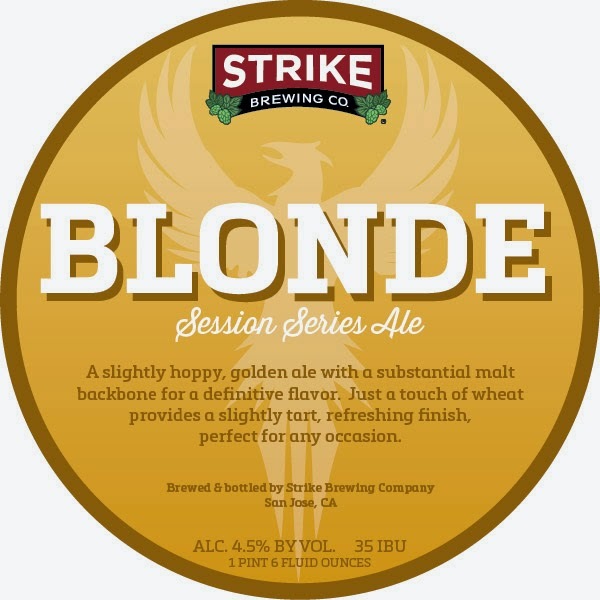 Strike Blonde is part of Strike Brewing's focus on session beers and its minimalist combination of light malt with a little hops is actually what I find most appealing about it. 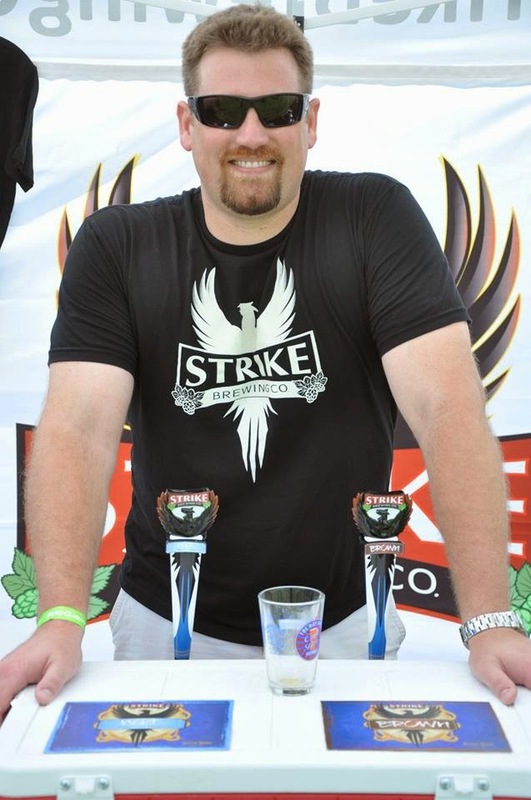 I spent some time talking with Strike Brewmaster Drew Ehrlich about his Blonde. It turns out to be one of his originals, going way back to his home brewing days. "I had a bunch of friends into the light lager craze, and I wanted to brew something that wasn’t going to scare them away," explains Ehrlich of how he came up with the recipe. "So I used pretty simple malt and added a little hops at the end to give them a little something extra they weren’t getting from what they usually drank." What I find makes Strike Blonde work is the light earthy bitterness at the finish. Ehrlich accomplishes this with Cascade hops he adds midway through the boil. "It’s pretty standard brewing practice that adding hops at the beginning of the boil adds bitterness, adding them midway through the boil adds flavor and towards the end of the boil adds aroma," explains Ehrlich. "So midway and towards the end of the boil I add Cascade hops to give it a bitterness you might not have with a super light beer." Session beers like blonde ales are actually difficult to brew, as there's no place to hide any brewing flaw in a light ale. As for Strike Blonde, Ehrlich doesn't quite see it that way. "I wouldn’t say it’s simple to brew, I wouldn’t say it’s hard, either. I had to adjust the recipe twice, the first time when I started brewing it at Hermitage Brewing when Strike was first started contract brewing there. When we at Strike opened our own brewery, I had to tweak it again. All brewing systems have their own quirks and I had to adjust the way I brew on each system to what was originally envisioned." Session beers are becoming more popular these days, but Strike Brewing was into session beers from the very beginning way back in 2010 when the brewery first started. "We really enjoy session beers, great for drinking a few with your friends without getting wasted and we love session beers for that," says Ehrlich. "They’re great for people who are active or working out, who want a beer at the end. Session beers give them lots of flavor without all the alcohol. Session beers are good social beers, that’s why we strive to have a lot of good session beer available at any given time."